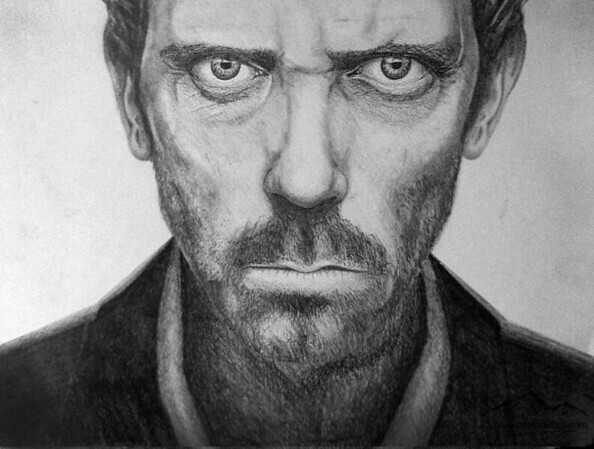 Drawings have always fascinated me. Few people in the modern world can say they have never seen the works of Leonardo Da Vinci, perhaps one of the greatest drawing artists in the history of mankind. The Mona Lisa itself is acclaimed as "the best known, the most visited, the most written about, the most sung about, the most parodied work of art in the world". Between Da Vinci's time and the present time, drawings like the Mona Lisa, or the Portrait of Catherine (Kate), Dutchess of Cambridge carry importance in society and culture. 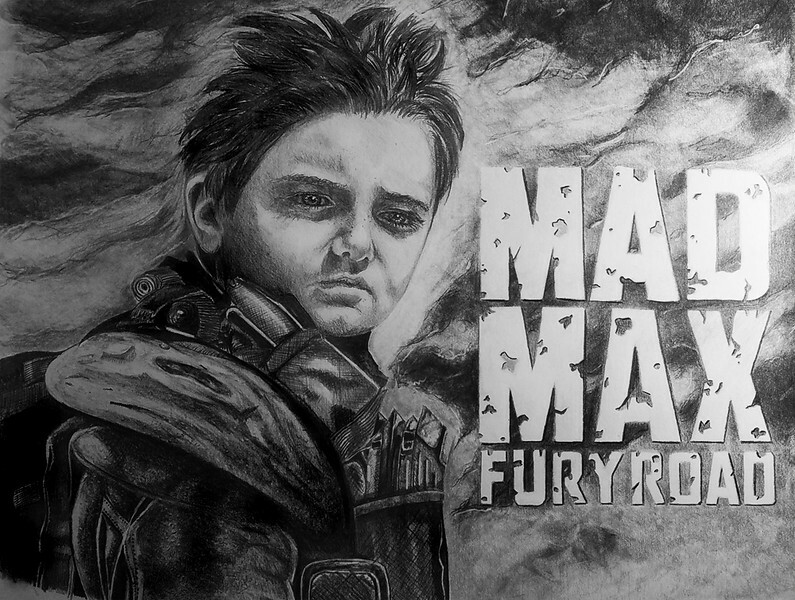 A portrait of Mad Max Rockatansky, from Mad Max: Fury Road, played by Logan, my insanely cool nephew. How could Da Vinci take a two dimensional medium such as paper, canvas, or wall, and transform it into something so alive and three dimensional? This mystery is what drew me to this form of art. I was in Temagami, Ontario on a fishing trip in early May 2014, when one morning we happened upon an old town maintenace worker. We asked him where we might find a good fishing spot, and he spent a few minutes with us, happy to explain a few he knew of. 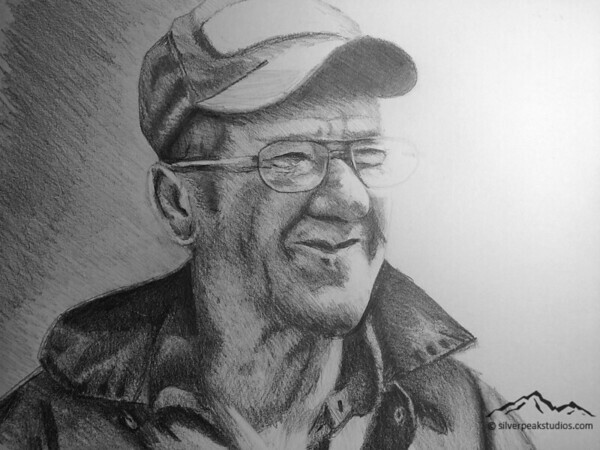 We didn't catch any fish that day but I was happy to get his photo for use in this drawing. Drawing is said to be the first method of communication, preceeding even written language. Imagine the importance of drawing in the development of humans 30,000 years ago - when we first started to draw pictures (Pictograms). At some point we wrote, and made drawings to learn and pass information on - and to think that drawing was our primary source of pictures up until just a hundred or so years ago when cameras started taking over. It's just one of those inherent things our universe has to offer. It's such a basic thing, even elephants and monkeys do it! Drawing became more common in the 14th Century when paper became more widely available, however it was always used as a form of communication, and eventually a form of art. Each art form derives in some way from drawing. TV, Internet, telecommunication. It has all changed the way we live our plugged-in lifestyles. One thing that hasn't changed in a very long time is our access to drawing. The low cost, and the ability for all of us to do it, makes it an awesome form of expression. Just imagine that through drawing you can communicate with just about any human being, even if you don't both speak the same language. My latest LOST character from the ABC TV Show - Kate, one of my favorites. 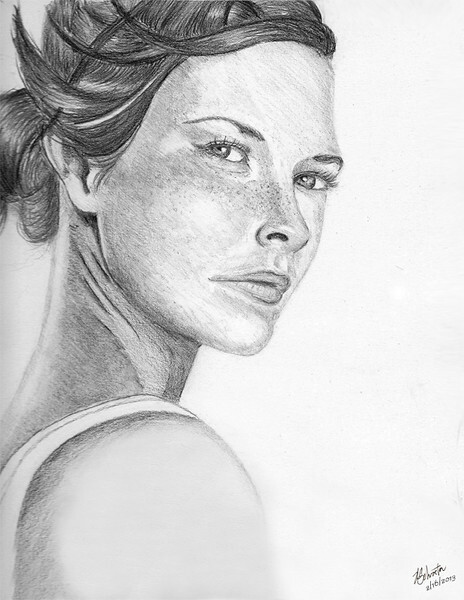 I realized on this drawing that female subjects require a much more delicate treatment of shadow and shape - there is a very fine line (pun always intended) between the features, and it is not possible to exaggerate shades the way you can with males or else they will lose their purity. I was always interested in art. I took some classes in high school, and really enjoyed it. After briefly touching on drawing in a high school art class, we moved quickly through to other types of art such as oil painting, watercolor painting, and claywork. I didn't spend a lot of time drawing in that class, but it introduced me to the art, and it raised my interest. As that art class ended, drawing became something in my mind that I felt I wanted to return to some day when I had the time. I finally returned to it in the Winter of 2013 - almost 15 years later. 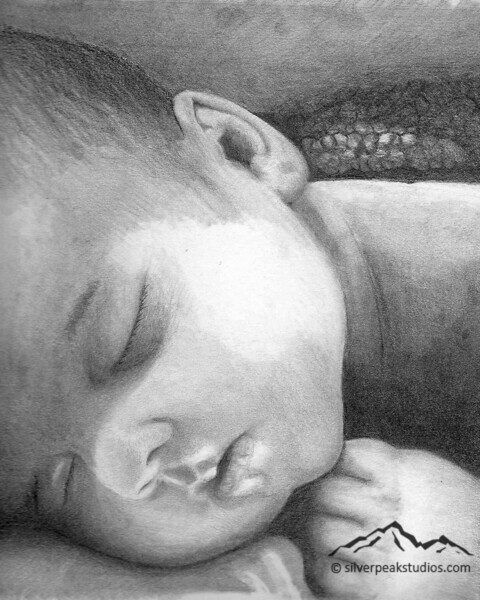 I started to study graphite and charcoal drawing methods. I became mostly interested in Photorealism. I was never good at drawing creatively, or in coming up with new ideas in my art. I can't even draw a cartoon character. But the concept of taking a photo and trying to recreate the many shadows and shapes that made up the subject was really cool to me. I also love portrait photography, which seems to go very well hand in hand with drawing. Sawyer from the ABC show LOST. 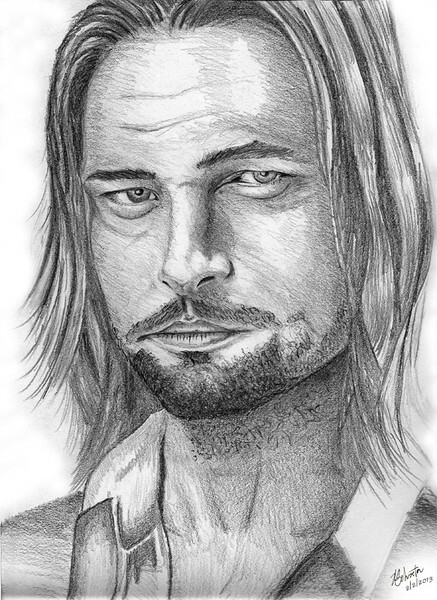 In my third drawing, I chose to draw Sawyer from the ABC TV show LOST. This was my first, and somewhat successful attempt at drawing hair. This time texture of the face is better, but scribbly in areas. Need to improve that. Though I got the eyes, nose and mouth drawn well, there is a bone structure problem if you notice the right eye is above the left. Neck and clothing are not done very well - definitely need to study this further. I have read many books, and watched many instructional videos on the subject. I spent about 3 months reading, and learning before even buying supplies. One day I finally got some materials and got started. I really enjoy drawing - it's a great pass time, and something that anyone can learn to do. The drawings progress from the bottom of this page (first) to the top (most recent). 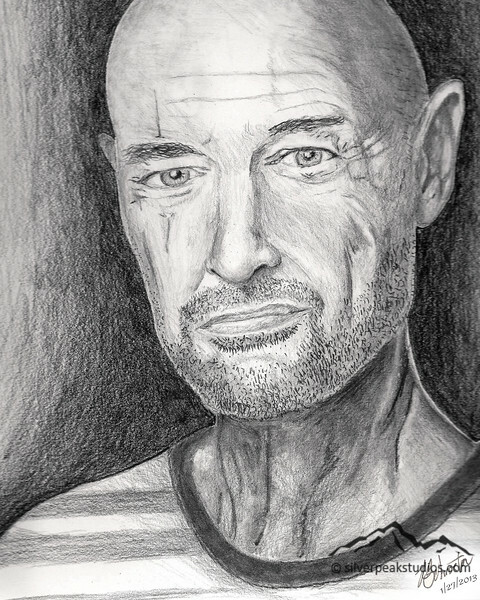 In this, my second drawing (John Locke, ABC LOST), the bone structure is better. Cheeks, jaw bone, and head, as well as skeleton look about right. Position of the features are not bad. What is lacking here is sufficient texture in the skin to sell it as closer to photorealism. The neck is a mess. When you get away from drawing what you see, and draw what you think you see, this is the result. A noticeable area of improvement. The beard stubble looks ok from far, but you can tell they are just small marks made by pencil. Another texture to research. In this one, I feel the nose and ears are a step forward. Being your own critic can help you improve. 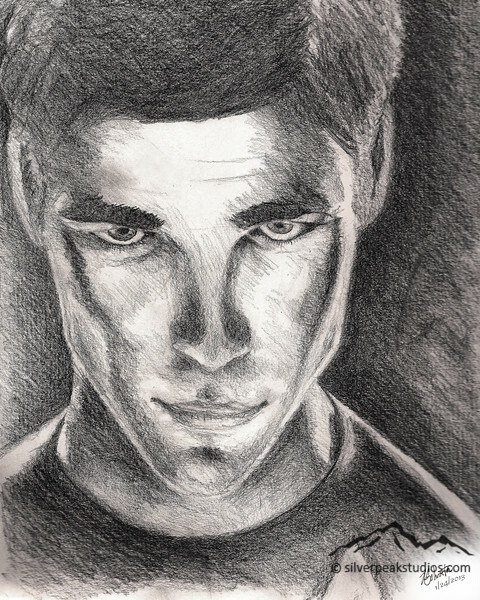 Though I was happy with the result of my first drawing (above, Captain Kirk from Star Trek the J.J.Abrams reboot), I realize now that the face has bone structure which isn't realistic. To see the point, squint a little, and try to envision the skeleton of the subject. The jaw and cheek bones look deformed. I was lucky to shade the shadows such that he is somewhat recognizable. The fabric on the shirt is nicely done as it really looks like a shirt, but the shoulders are pointing down, maybe too angled. The ears and hair are visibly an afterthought. Something to work on next time!